From Les Trčs Riches Heures du Duc de Berry. 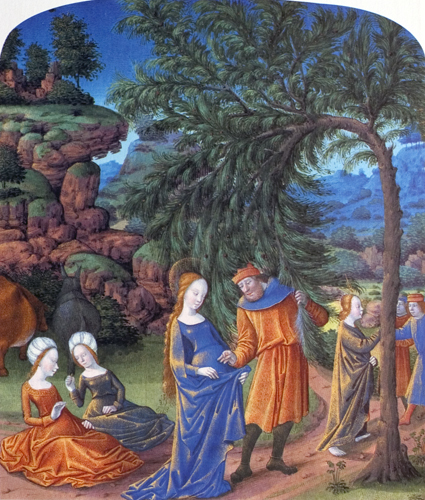 This scene represents the miracle of the Apocrypha whereby the tree bends down to sustain the Holy Family in their journey. Joseph places the dates in Mary’s robe gathered to collect them.